I belong to a game-playing family, a love that is especially exercised around the holidays when looking for gift ideas and spending wintery nights at home with the family. With our oldest son in the middle of elementary school, we are just beginning to play more strategic and complicated games. However, our younger, kindergarten-age daughter has special needs that affect her gross and fine motor skills, as well as cognitive and verbal abilities. None the less, we are determined to involve her in our board game binges. No more sitting to the side watching the rest of us; therefore, my newest mission involves finding games that will include and challenge her at the appropriate level. This has required a decent amount of research and asking therapists, teachers, and fellow special needs families for their recommendations. It has also included lots of trial and error game-playing directly with our daughter, my ultimate goal being that she encounters more fun than frustration. I have seen how engaging our special needs child through intentional game-playing can stimulate and challenge her in new and fun ways, while also having quality time as a family. Our daughter currently has limited recognition of colors, numbers, letters, and words, but she is very social and motivated by praise and fun. Whatever the challenge: social, sensory, physical, cognitive, etc., thoughtfully selected games can not only provide a new level of entertainment, but also create a form of education and therapy to reinforce the development of key skills. In our case, we personally employ a lot of hand-over-hand instruction as well as specific adjustments to involve the use of our daughter’s speaking device within the context of the game. It takes time and patience to play, but her enjoyment is our reward. I have come across the new genre of “cooperative” games in my search. 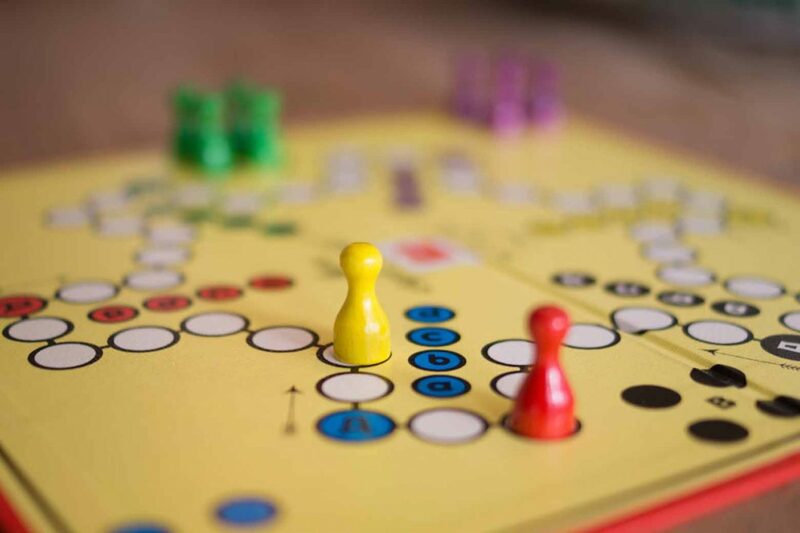 These are board games designed to create non-stressful play situations by encouraging teamwork among players rather than competition. This seems like a brilliant match for children who need the extra support and direction. Cooperative games seek to intentionally develop a child’s decision-making skills, social interaction, self-esteem, and playfulness while fostering a sense of cooperation and community. May you enjoy a new depth to your family time by engaging in some simple board game fun this season! And please feel free to share the games you discover with the rest of us by commenting below. No matter the challenges you and your child face, stay calm and game on. Your family will love you for it.